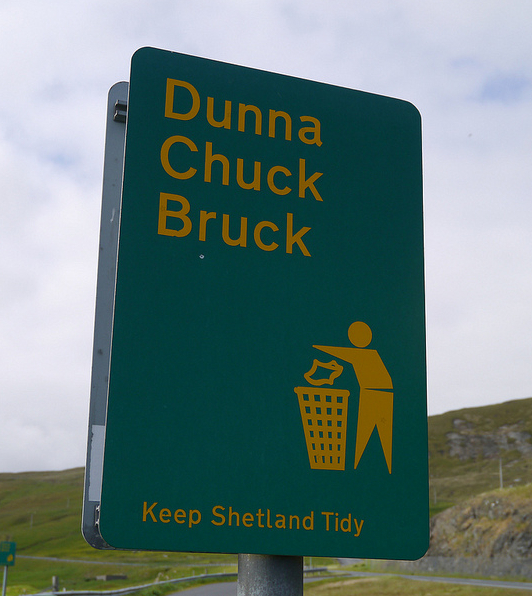 the use of two dialects, especially a standard and a non-standard variety. In Ireland, there is a significant minority of adults my age whose parents are British but who were born, raised and schooled on the Emerald Isle itself. As someone who is utterly atrocious at feigning accents, I am always amazed at how convincingly they can flit between a British and an Irish accent (including the various regional accents in Ireland). More than this, they are able to slip in and out of the appropriate dialect, with its unique words and grammatical constructions. This skill was (according to some) born of necessity as British accents (especially English) were not looked upon favourably by one's peers in the classroom. I must admit to finding this skill thoroughly fascinating, as solidly stuck as I am in my monoaccented and unidialectical state. If you're bidialectical, or have any thoughts on bidialecticalism in general, please comment below. Two languages in one head? Who can live at that speed? I can do two languages, but two variations of each language ... ? Went for some Scran with friends and family yesterday. It truly was a weaker mornin. Damien scanned it as he was lee marvin, I could eat the back door buttered, while Roy was 4&8. Didn't get any council juice which is norm the norm in der, and Esther kept goin on bout her ma's gurney. Have to say but, der was great craic and I was happy to be wit so many of my pedigree chums. Whe we got home I said to Natanya to push the door til. It was a beaser day. Sweet or dead on mucker. It only cost a wein a pound and 'twas well worth it. Yes ... you, um, went somewhere and did something. I think there were some animals involved, and some washing up liquid. Other than that I'm stumped.